There are a lot of different opinions on how to choose your first guitar and what kind of guitar it should be to get the best start on your instrument. In this article I have described 3 key elements to consider, when buying your first guitar. There is a lot of benefits to buying a new guitar. The first on is price. A brand new guitar will tend to loose about 40 percent of its value as soon as it has left the shop. This means that you can save at least the same amount, when you buy a used guitar. When you buy your first guitar, one of to things can happen. Either you get exited about the guitar and love it or you don’t and in either of those cases, the best thing you can do for yourself is to buy a used guitar. If you end up loving the guitar (let’s face it, its properly going to happen) you get a lot more guitar for your buck. This means that the guitar you will be buying has a lot higher quality that a new one costing the same. A good guitar is easier to play and it WILL make a difference in you getting the best possible start on your guitar career. If the opposite should happen and you end up not liking the guitar you are properly going to sell the guitar again and in this case you will be the one loosing 40 percent of your investment. If you buy a used guitar and end up selling it again you might loose a little bit of money, but the initial cut of 40 percent is on the original buyer. This means that either way, a used guitar is the way to go. A starterpackage usually contains a guitar, a strap, some picks, a gigbag and possible a node stand. This makes it seem like a good option for a beginner because it contains “everything you need to get started”. The problem with this is the bad quality of the instrument. While most people will figure that the quality is bad not everybody are aware of what this means for the amount of frustrations that goes into learning the guitar from scratch. This has nothing to do with the fact that a good guitar sounds better or looks cooler. It has to do with the psychology behind the learning experience. A bad guitar will make things that are already hard to learn on guitar even harder. This is perfectly normal, but the chances of a beginner knowing this are very small. The beginner guitarist will often tent to blame themself for not being able to play the things they want to be playing, even though the bad instrument might play a big part in it. This adds up to a rocky start and in a worst case scenario, one might even stop playing the guitar all together. Therefore buy a used of of decent quality. You know the feeling. Spring is just around the corner, the birds are singing and love is in the air. Its not another person who has caught your attention, but a specific guitar. For some its a Fender Jaguar, for others its a Gibson Songbird and for me it was a shinning white Ibanez RG. Some people tend to emphasise the importanse of starting on a guitar with nylon strings, as these strings are easier on your fingers than steel strings are. While this is definitely something to consider, this is not the most important thing to consider in my opinion, and this should therefore not be the sole deciding factor. When all is said and done, how good a guitar player you will become comes down to spending a lot of hours with your instrument. Therefor you need to pick an instrument, that can make you feel the way I felt when I saw my white Ibanez RG for the first time. This will make you wanna spend your time doing nothing else than playing guitar and you will become better faster. Taking these three key elements into account will set you on the right course to finding the guitar, that is right for you. Once you have accomplished you will have taken your first step towards guitar playing mastery. About the author: Janus Buch is a professionel guitar teacher in Vejle. 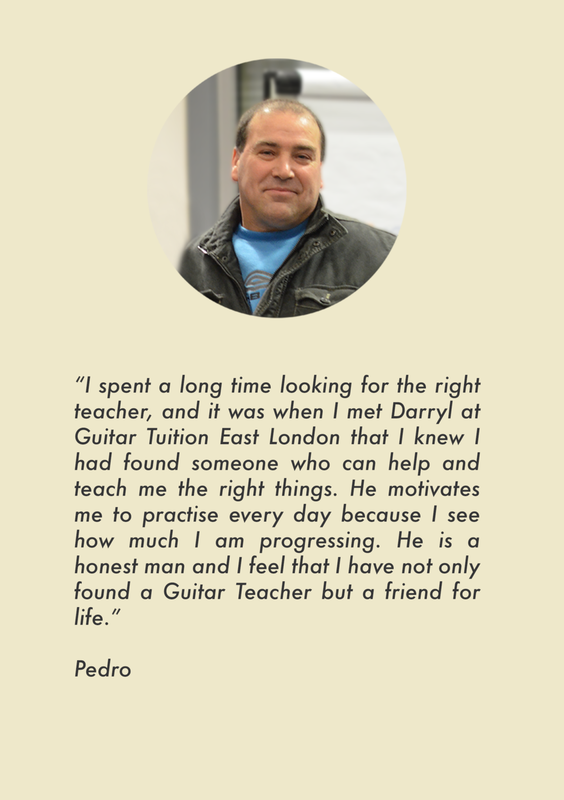 He is a long time player and founder of the GuitarAcademy. If you are in Denmark looking for the best guitar lessons in Copenhagen, the guitar academy is the place to go. We will raise your guitar playing abilities to new heights. Om forfatteren: Janus Buch er professionel guitarunderviser med hovedsæde i Vejle. Han har spille guitar i mange forskellige konstellationer i mange år og har stiftet GuitarAkademiet, der er Københavns eneste akademi målrettet mod guitarister. Hvis du befinder dig i Danmark og er på udkig efter den bedste guitarundervisning voksne Vejle, så er guitarakademiet stedet for dig.